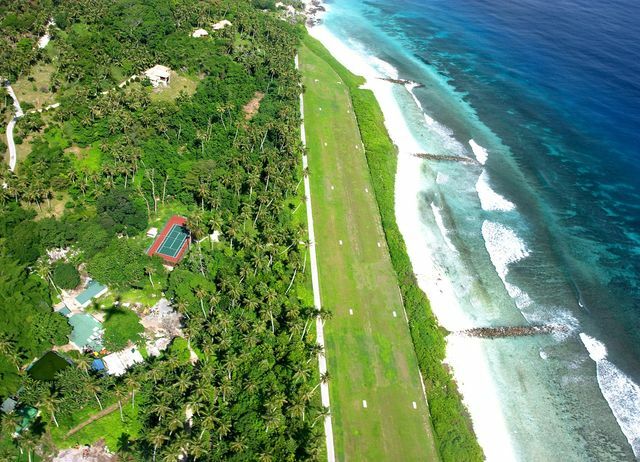 An archipelago 932 miles off the coast of East Africa, Seychelles honeymoons are hot for countless reasons. Not only is it enchantingly beautiful, serene and private, and nearby by several other desirable spots such as Madagascar, Mauritius and Réunion, but it was also the chosen destination for Prince William and Kate Middleton’s honeymoon (if that doesn’t spell out travel-worthy, we’re not sure what will!). It’s most certainly the destination to unwind and relax on white-sand beaches surrounded by sweet, genuine and super friendly locals. The sovereign state of Seychelles consists of 115 small islands, however, so it’s important to know where you want to go and what you want to do before arriving to ensure you make the most out of your Seychelles honeymoon. One of the most unique honeymoon destinations in the world, start planning your Seychelles honeymoon! The best times for a Seychelles honeymoon are towards late spring and early summer (ideally April or May) or smack-dab in the middle of fall (October and November). While the weather is always climate, never hovering lower than about 75 degrees Fahrenheit, these times are the least hot and humid, making it more comfortable for travelers. If you’re looking to avoid tourist crowds, the best times to visit are December and January, during the holiday season transition to the new year, and July and August, when waves of students visit on break. This is the main island of Seychelles and home to its capital, Victoria. You’ll want to designate at least a few days, if not a whole week to exploring everything that Mahé has to offer, which you’ll come to learn is quite a lot! 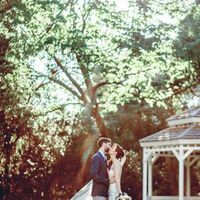 There are pristine plenty of beaches to relax on, including the world-famous Beau Vallon bay, Anse Royale and Pointe Au Sel—all offer a welcomed respite from the wedding planning stress you’ve been dealing with for the last several months, or years. You’ll only need to designate one day to exploring the actual city of Victoria since it’s very small (the smallest in capital city in the world, in fact! ), but there’s plenty to do, including visiting the stunning, pastel-colored Hindu temple, exploring the Victoria marketplace, eating out at restaurants and cafes and soaking up the sunset views. This island is best known for its gorgeous tropical beaches lined with palm trees. 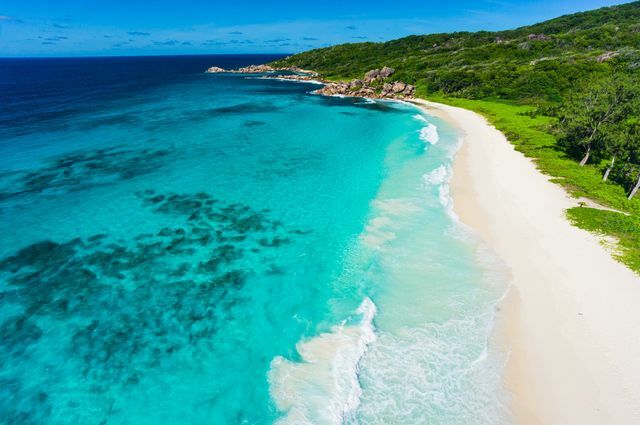 It’s most famous beach is Anse Lazio, so you’ll want to make sure you set aside a day during your Seychelles honeymoon to simply veg out and relax atop the soft, white sand. Praslin is home to one of the largest giant tortoise populations, so don’t be alarmed if you spot a few passing by, slowly of course. Those looking to get some exercise will enjoy a hike through UNESCO World Heritage Site, Vallee de Mai, where you can spot many exotic creatures including the endangered Black Parrot. 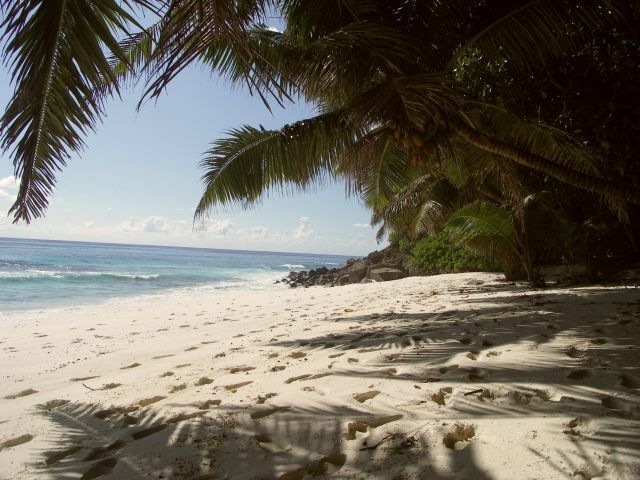 This island in the Seychelles is also known for its beautiful beaches, most notably Anse Source d’Argent. This beach, in particular, stands out among the rest, as well as the others in the Seychelles islands, for its red granite rock formations, but there are plenty of others you’ll want to walk by at the very least, including Anse Cocos, Anse Severe and Anse La Runion. The bulk of your Seychelles honeymoon on La Digue should be spent relaxing on the beaches, but there are also several areas to hike and a gorgeous Plantation House where you can catch a glimpse of real vanilla being grown.